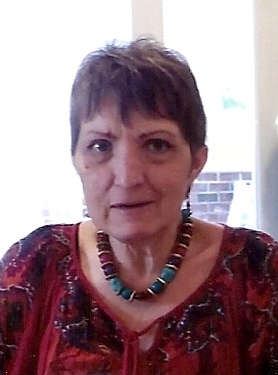 Obituary for Sandra L. (Piper) McKean | Feiser Funeral Home, Inc.
Sandra L. (Piper) McKean, 66, died Monday, January 21, 2019, at Select Medical Hospital in Camp Hill. She was the wife of the late William L. McKean, Jr, her husband of 38 years, who died November 25, 2016. Sandra was born September 5, 1952, in Hagerstown, MD, the daughter of the late Leslie E. and Betty J. (Lewis) Piper. Sandra is survived by her siblings, Jeanne L. Bowman of East Berlin, Vanessa A. Gouker and her husband Raymond of New Oxford, Dwayne S. Piper and his wife Michelle of Wellsville, Brian K. Piper and his wife Teresa of West Chester, and Michelle L. Lee and her husband Tony of Littlestown, two stepsons, Harry P. McKean and his wife Dawn of New Oxford, and William L. McKean, III and his wife Cindy of VA, two nephews, Blair Bowman and Kim Makwarth, five nieces, Renee Robinson, Katelyn Page, Emily Pottiger, Heather Piper and Nicole Piper, a step niece, Shawnee Lomenzo, three great nephews, Devon Cunningham, Brandon Bowman and Conner Bowman, two great nieces, Ciara Robinson and Maya Bowman, a great great nephew, Haidyn Cunningham, and a great great nieces, Kynsli Cunningham. She was predeceased by a brother, Dennis R. Piper. Funeral services will be held on Friday, January 25, 2019 at 7:30 PM, at the Feiser Funeral Home, Inc, 302 Lincoln Way West, New Oxford. Burial will be private. A viewing will be held at the funeral home on Friday, from 6 PM until the time of the service. Memorial contributions may be made to the American Cancer Society, PO Box 42040, Oklahoma City, OK 73123. Memories may be shared at www.feiserfuneralhome.com.